Super cute for Thanksgiving! 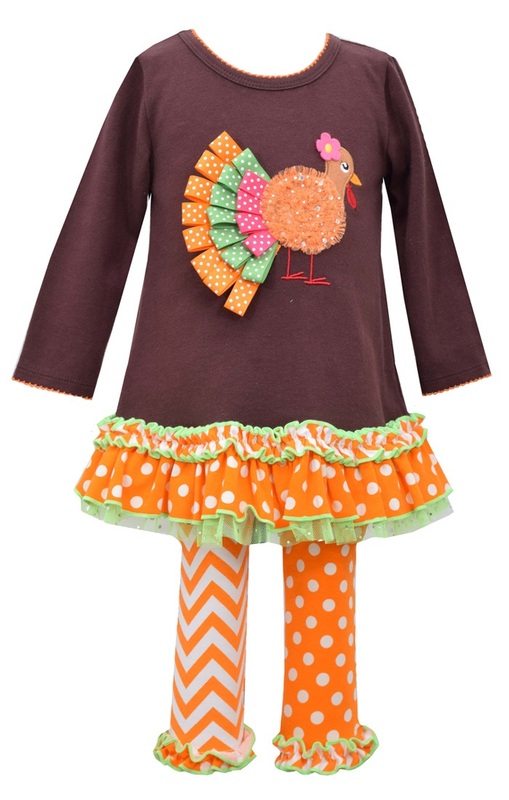 Long sleeved little girls brown turkey applique tunic with ruffles and print cotton spandex leggings. Machine wash.